Our product range includes a wide range of epdm extruded profile, extruded rubber profiles, rubber cups, rubber gaskets and rubber bumper. We hold expertise in manufacturing and exporting EPDM Extruded Profile. 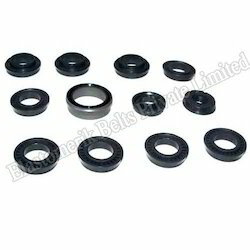 These are manufactured from the quality rubber fabrics that make them highly durable as well as long lasting in nature. These profiles are known for their good elasticity and resistance to wear and tear. They are tested on different parameters before we supply them in the market. These are recognized by their efficiency, technical & design accuracy meeting performance.Our EPDM extruded profiles are manufactured in special high-end sponge compounds with very low specific gravity. These are strong, durable and long lasting. 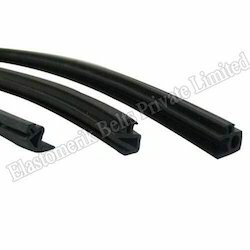 Our EPDM extruded profiles are widely appreciated and available at industrial leading prices. We specialize in manufacturing and supplying an array of extruded rubber profiles that includes Extruded Rubber Profiles, rubber tubes, and hoses etc. 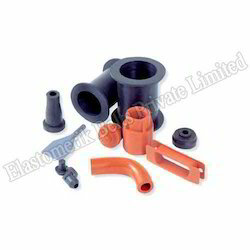 We are one of the noted manufacturers and suppliers of structural Rubber Cups of superior quality. These rubber cups are offered at cost effective prices and different sizes and shapes to cater the diverse needs of our customers. These products are in tandem with industry quality standards and offered to our customers at affordable prices. Our range finds extensive applications in construction and automotive usage.These rubber cups are technologically advanced and confirm to industrial quality norms of quality standard.These rubber cups are widely available in various specifications and dimensions. These are available at market leading as well as at competitive prices. We are in a position to supply Rubber Gaskets. These are fabricated from quality raw materials which make them durable, strong in structure and highly anti-corrosive. These are suitable for general piping, flanging and like operations. They are widely used in various industrial applications. Our products have been used for automobiles, electrical fittings, pipeline fittings, home appliances, bathroom fittings, and hydraulic pneumatic valves. The Rubber Gaskets are manufactured in tandem with the global quality standards. 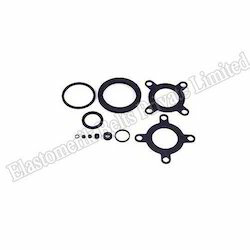 We manufacture these gaskets employing superior quality raw materials at our well-equipped infrastructure. Clients can avail these products in varied specifications as per their exact requirements. We are one of the noted manufacturers and suppliers of Molded Rubber Components, which are manufactured from superior quality natural and synthetic rubber compounds. These components have application specific design and are capable of rendering years of efficient services. Our group of professionals manufactures these products in compliance with the varied industrial demands. 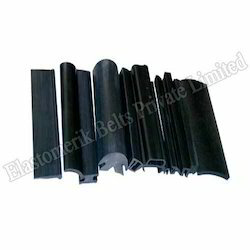 These rubber products are available in various isomer profiles so as to suit the variegated requirements of the clients.